Vahid Halilhodzic has been named as the new coach of the Algeria national team, the country’s football federation announced on Wednesday. The former Yugoslavia striker, who takes over on July 1, has signed a three year contract taking him up to the 2014 World Cup. The 55-year-old, who is known as a stickler for discipline, replaces Abdelhak Benchikha who was sacked after Algeria’s 4-0 thrashing by Morocco in the fourth round of qualifying for the 2012 Africa Cup of Nations. 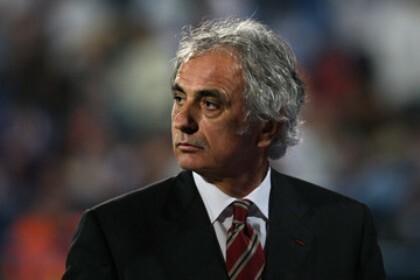 Halilhodzic already has some experience of African football, having been in charge of Ivory Coast between 2008 and 2010. He also has a vast amount of experience in French club football where he has coached Lille, Rennes and Paris Saint Germain. He was preferred ahead of former Germany coach Jurgen Klinsmann as well as Dunga, who was in charge of Brazil at the last World Cup.